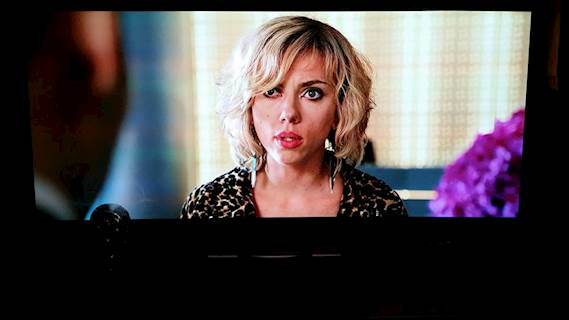 “What a difference this projector makes. The brightness is very good. Darbee is fantastic – it really enhanced the detail and depth in the imagery. And 3D on the projector is amazing. I absolutely love it. For the price you cannot go wrong. My family and I are all very happy!" 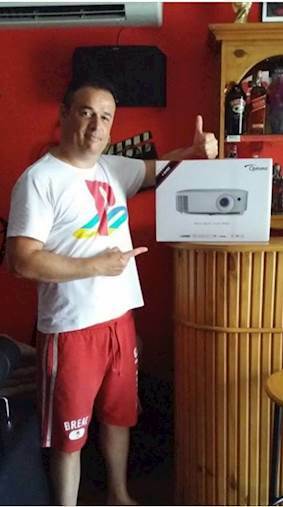 Challenge: Mario Zammit from Malta wanted to upgrade his home projector from his trusty old Optoma HD23. Solution: Thanks to Johann Saliba at Top Technix, Mario was the very first person in Malta to buy the HD29Darbee. Newly launched, the projector was not yet available in the country at this time. 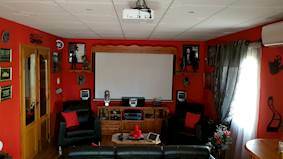 Results: Mario said: “What a difference this projector makes. The brightness is very good. Darbee is fantastic – it really enhanced the detail and depth in the imagery. And 3D on the projector is amazing. I absolutely love it. For the price you cannot go wrong. My family and I are all very happy!" Mario Zammit from Malta wanted to upgrade his home projector from his trusty old Optoma HD23. 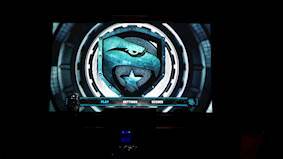 Happy with the quality of his old projector, he knew he wanted another Optoma for his large, bright lounge. Thanks to Johann Saliba at Top Technix, Mario was the very first person in Malta to buy the HD29Darbee. Newly launched, the projector was not yet available in the country at this time. Mario installed the projector on a universal ceiling mount and connected this to his Pioneer BluRay player. Its wide throw ratio, zoom and keystone correction made installation quick and simple. With 3,200 lumens, the HD29Darbee is bright, small and quiet. Exclusive to Optoma projectors, it boasts integrated DARBEE Visual Presence™ image enhancement technology for extraordinary levels of depth, clarity and realism. Its enhanced Gaming Mode gives an impressive 16ms response time. Mario has watched both 2D and 3D films on his new projector. He said: “What a difference this projector makes. The brightness is very good. Darbee is fantastic – it really enhanced the detail and depth in the imagery. And 3D on the projector is amazing. I absolutely love it. For the price you cannot go wrong. My family and I are all very happy!" HD29Darbee, Pioneer BluRay player, universal mount, Pioneer Amplifier SC-LX755 and 7.3 surround sound speakers.